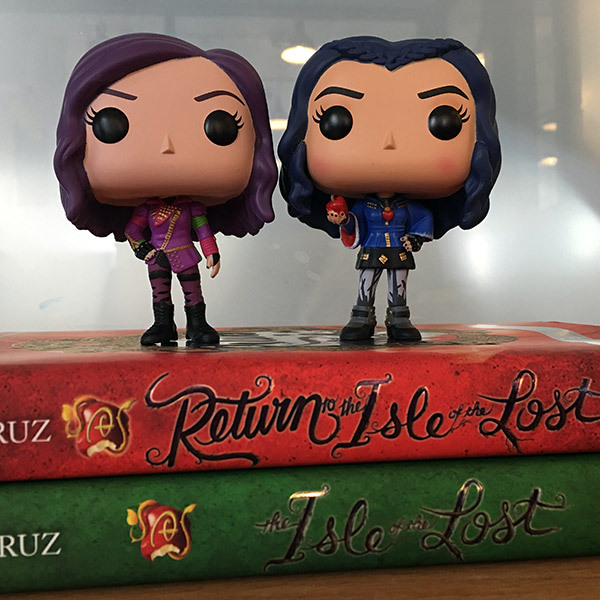 Return to the Isle of the Lost with Our Melissa de la Cruz Interview | YAYOMG! Descendants fans rejoice! 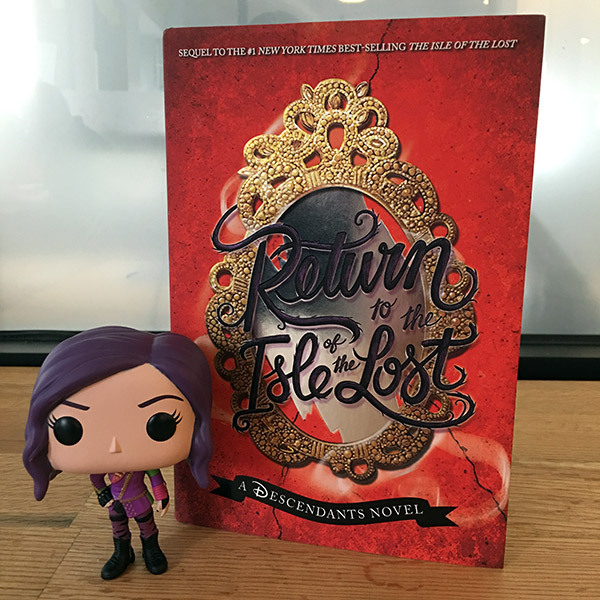 The second Descendants novel, “Return to the Isle of the Lost”, is out today and it’s just as wicked as the first one! Not only were we able to snag an early autographed copy from the fabulous Melissa de la Cruz at the Book Expo of America, we were lucky enough to be able to interview her as well. Thanks so much to Melissa and the magical folks at Disney Publishing for making our dreams come true! Now – onto the book. 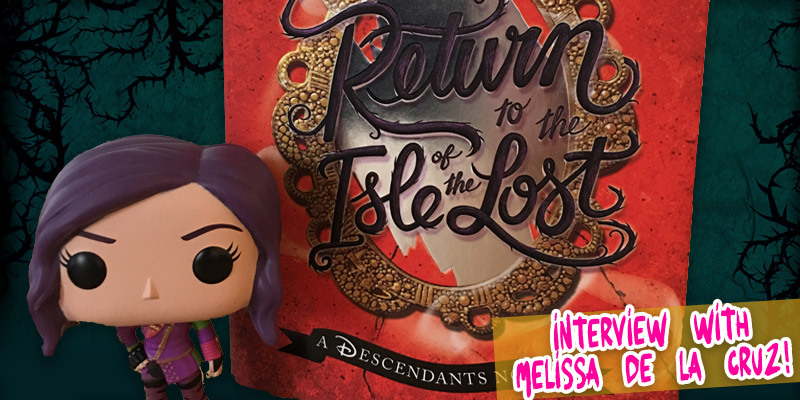 “Return to the Isle of the Lost” is the sequel to the first Descendants novel, “The Isle of the Lost”, which came out around this time last year, shortly before the Descendants movie we’ve all grown to know and love (and totally obsess over). In the first book, we get to know Mal, Evie, Jay, and Carlos as their villainous selves, and what their life was like before Auradon. In the sequel, “Return to the Isle of the Lost”, everyone’s favorite villain kids are comfortably settled into their lives at Auradon Prep. Jay is enjoying being one of the best players on the tourney team. In addition to embracing her intelligence, Evie’s also become a social media queen. Carlos splits his time balancing tourney with studying with Dude curled up next to him. And Mal is happy being Ben’s girlfriend as well as knowing that her mother can’t wreak havoc on anyone else now that she’s nothing more than a tiny purple lizard. They’ve all embraced the good within them, but they’ve definitely haven’t changed entirely. They all still show their edgier sides once in awhile, just in much more constructive ways. Now that they’re happier than ever, it comes as a huge shock to them all when they start receiving mysterious, anonymous messages luring them back to the Isle of the Lost. They can’t possibly go back home, can they? Well, it turns out that they’re going to have to in order to solve the mystery and save the day. Some really strange things have been happening lately, and figuring out who has sent these messages might just be the key to unlocking it all. 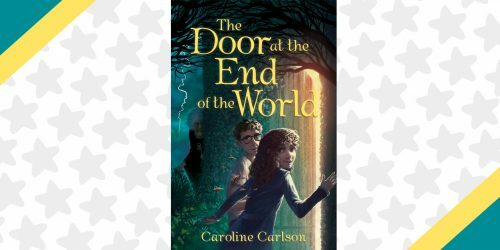 While Ben investigates the strange earthquakes and weird attacks happening in Camelot and Charmington, Evie, Mal, Jay, and Carlos must head back to their former home to get to the bottom of things. Fans of Ben will be pretty happy while reading the sequel, as he plays a much bigger role in the story. There’s also a few new characters sprinkled throughout and Freddie and Jordan even make a brief appearance. All in all it’s a great read filled with adventure, mystery, and a struggle between good and evil. Unfortunately, unless you’ve got a magic mirror to look into to find out what happens, you’re going to have to read the book to find out how it all turns out. Think that’s a little bit evil of us? We’ve got a peace offering – here’s our interview with the incredible Melissa de la Cruz, all about “Return to the Isle of the Lost”. YAYOMG: It’s pretty well known that you’re a big fan of Carlos. Did you find yourself drawn to a different character while writing “Return to the Isle of the Lost”? MELISSA: I also love Ben. I love them all, but I wanted to make sure Ben had a bigger part in this book. I also very much sympathize with being thrust with leadership at such a young age, to me it’s like being the eldest child in a Filipino family, there’s a lot of responsibility. YAYOMG: If you could pick a Disney Princess/Prince or Villain to be your parent, who would you choose? MELISSA: Maleficent definitely. Who wouldn’t want to be the kid of the Mistress of Darkness? It’s why Mal still loves her mother – she’s so powerful, it’s pretty awesome. YAYOMG: As a writer who generally creates her own characters and universes, what’s it like to play within the Descendants world? Do you find it more or less challenging? MELISSA: It was fun to play in that world, I was a huge Disney kid, so I knew the movies and the tropes very well. It’s its own challenge, probably more challenging because I do like to be the boss of my own stories. But it’s very enjoyable. I wouldn’t do it if I didn’t have fun with it. 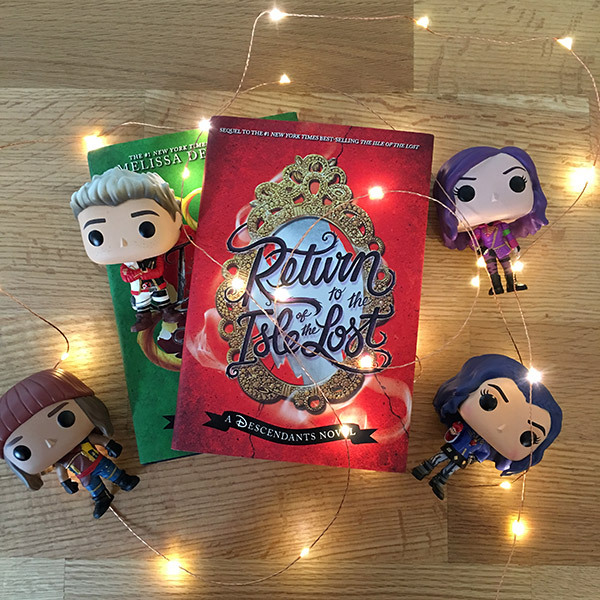 YAYOMG: “Return to the Isle of the Lost” features newly reformed Mal, Evie, Jay, and Carlos being lured back into evil. What’s it like for them to return to their home now that they have a fresh perspective on good and evil? MELISSA: It’s difficult for sure, and to see the Isle of the Lost after the wonders and the overall pleasantness of Auradon is hard on them, everything looks so much shabbier and dirtier than they remembered it. It’s hard to go home. YAYOMG: “Isle of the Lost” was the prequel to the Descendants movie. Where does “Return to the Isle of the Lost” fall on the timeline? Does it tie in to the movie or sequel in any way? 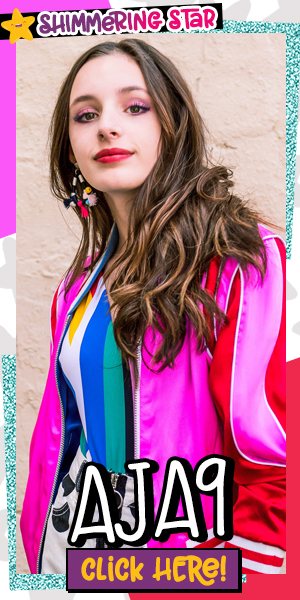 MELISSA: It happens after the movie, but it’s not a sequel to the movie – the sequel to the movie is the second movie Descendants 2. 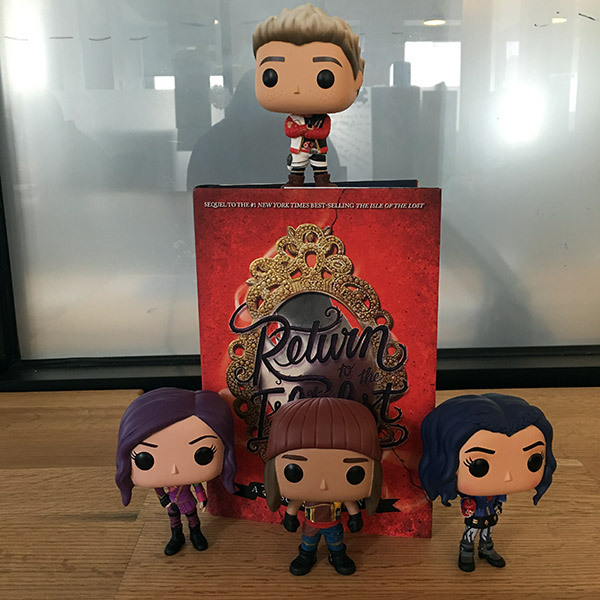 “Return” is the sequel to the first book. Hard to answer your question because this is a mutli-platform project, with animated shorts as well, so I’ll just say that all of it is in the universe of Descendants. YAYOMG: Both the Descendants movie and novel series have become enormously popular with a seriously dedicated fanbase. What has it been like for you as an author, and can you share a specific fan-moment that really made you smile? MELISSA: I enjoy it. It’s not my first time around the carousel, as I was here with “Blue Bloods”, and it’s fun to see “Blue Bloods” fans buying the book for their kids. Definitely when a mom comes up and has me sign all the “Blue Bloods” books for her and then an “Isle of the Lost” book for the kids, when I realized I was writing for the whole family, that was a cool moment. I love seeing the kids dressed up costume. 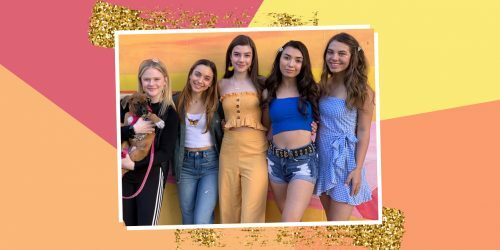 But I didn’t make up those costumes – our awesome costume designer Kara Saun did – so it’s different from seeing fans in “Blue Bloods” gear -when I saw all the Mimi fans in white dresses from the 400 Ball, those are all mine. But I enjoy being part of the Descendants phenomenon. It’s made me VERY popular with my daughter’s 3rd grade class, which is the main reason I did it. To be cool in front of my kid is the best thing ever. YAYOMG: Do you have any advice for our readers who aspire to become writers some day? MELISSA: Read as much as you can and read a variety of things. Also never give up. Keep pounding on that door till it opens. But when you’re a kid, worry more about the writing than the publishing. That will come later. 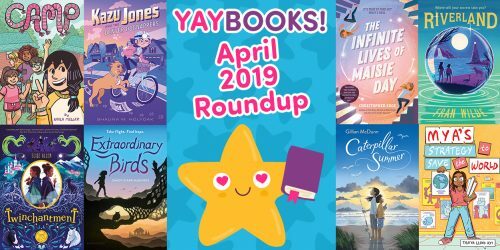 YAYOMG: Our readers are big Descendants fans, so they’ll be really mad at us if we don’t ask – will there be a 3rd book in the Descendants series, or any other “top secret” info you can share? Soooooo good news for all us who’ve already devoured “Return to the Isle of the Lost”, a 3rd book is on it’s way! Before we wrap things up, we’d just like to say thank you again to Melissa for taking the time to answer our questions. It was a quite an honor to be able to interview her. 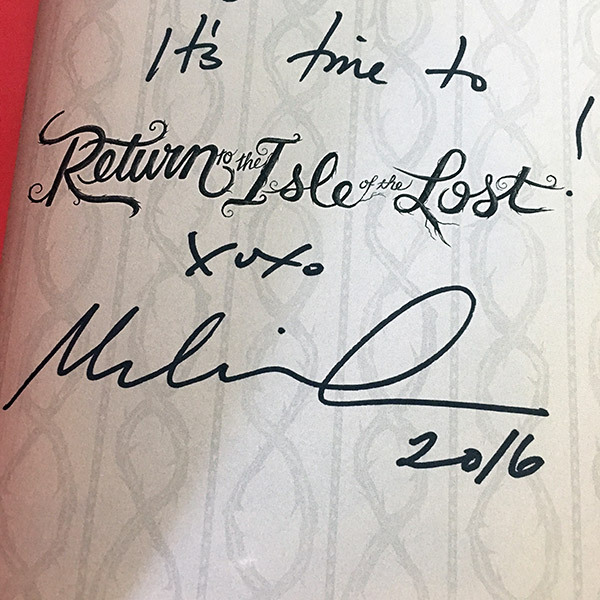 To all our readers – “Return to the Isle of the Lost” is now available, so head on over to your favorite bookstore and snag yourself a copy.